After wandering the streets of Ottawa late Saturday night and unable to locate any coffee shops open after 10 PM to host an interview session fellow author of the Choir X Blog, Jean-Pierre and I wander into the Chateau Laurier and set up a work station at a lobby table. Embellished piano improv wafts in from the neighboring lounge as we prepare to take turns to interview with one another. It is time to turn the tables on bloggers who often discuss content but are rarely asked why their motivations behind it. Jean-Pierre begins by presenting me with a copy of mosaik by Stephen Hatfield in which JP contributed French text. "Une berceuse vaut mieux qu'une chicane"
Where it states that a lullaby is worth more than an argument. The whole theme of the piece is that we might not be able to understand each other because of our differences, yet we are able to sing together. While we can't all talk at the same time, we can sing together. Even youth all of the conflicts between national tensions between natural languages we are able to sing together. Does this parallel how you see life? It makes me think of Lori Anne. Her motto is "Sing, it makes you happy" and it reminds me of that. What was it like hearing mosaik for the first time? I just wanted to get up there and sing with them. It's like having a child, that creative idea that is your piece but you need to let it go and let it speak to others. Now it needs to live on it's own. This isn't my piece or Stephen's piece, it is the choristers piece. Why do you choir blog? To share my passion with others. I love singing in choir. I get so enthusiastic and passionate about it. It's my way of sharing my life and that Art with other people. It's promotion to get more people in the seats to come see what it is. I do it to have that link to the choral community that's out there. It started live tweeting during choir rehearsals. So I started out with #shitchoristerssay #shitchoirdirectorsay and I moved up 400 followers on Twitter. Clearly this is subject that rings true with other people. I'm not alone. People are following and people are interested. Blogging and tweeting 140 characters wasn't enough for me. I had more to say. Tweeting became blogging. Why is the blog called Choir X? The blog is called Choir X. The subtitle is the basses point of view. The chorister's experience. Also I am big on branding. And X is more catchy than ex. It's easily recognizable. Were you ware you aware you were selling yourself as a blogger before creating your blogging identity? Yes *laughs* short answer is yes. Blog post once each week. Talk about the local choir scene, national choral scene, international choral scene. Talk about people's points of view: choristers, directors, composers, and Arts administrators. I've been in choirs for 10+ years. 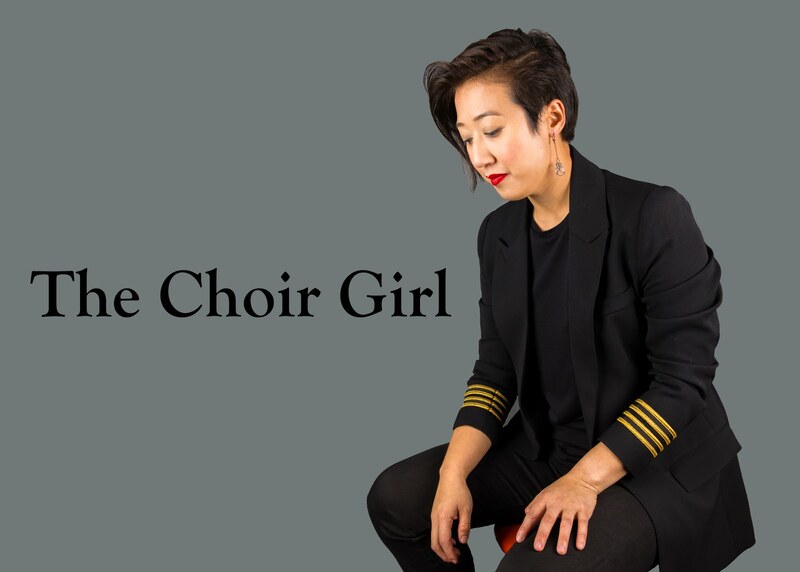 On the the blog there is a resources page with a list of all clinicians, conductors, and choral ensembles I have participated in. I'd like to do some flashback pieces, what it was like to work with those people, or do a post on one certain piece that we sang and the history, context and whole emotion behind it. I would like to go back to conferences and festivals such as Festival 500 in Newfoundland, Podium, and Europa Cantat and cover social media from the blogging point of view. I don't want this to be a local Ottawa choir blog. As international as I can make it. I don't want to just blog about Ottawa. The global choral community is bigger than that. What one of the things you're most proud of with the blog so far? Meeting you, that's pretty cool, connecting with other choral bloggers like Laurie Ann and Amy. Finding out that I can relate to people. This is more from tweeting than blogging but reaching 400 followers. One time my friend, Andrew and I tweeted different ways to pronounce excelsis like Ek-shell-sis or Ek-tsell-sis with #choirkidproblems and it got retweeted hundreds of times. Anything you want to add before we turn tables? I'm thankful to be in a city like Ottawa where there is a National Arts Centre, Parliament, Govener General to have the opportunity to work such with such incredible conductors like Barbara Clark, Michael Zaugg, Matthew Larkin to name a few. I'm right now I'm just so thankful for these opportunities being in heavy nation's capital as a chorister. Everything in my life, I can relate to choir in one way or another. Read the other half of this interview project by visiting JP's Choir X blog.